Canada is filled with wide-open spaces overflowing with a diversity of wildlife. No tours represent this better than our polar bear tours and grizzly viewing adventures. 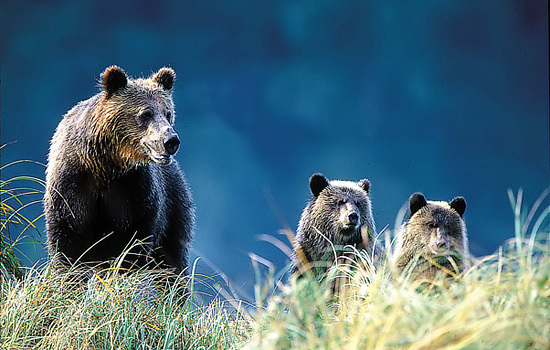 See the grizzly bears of the lush Great Bear Rainforest gorge themselves during the annual salmon run. 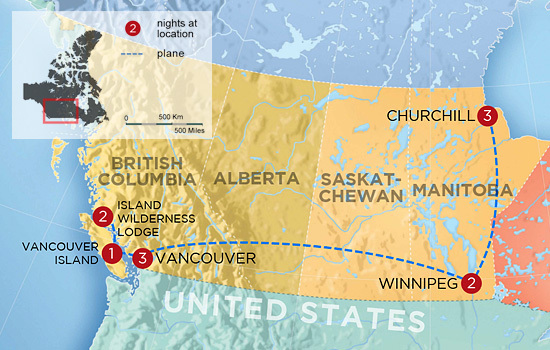 From here, travel to the unforgiving arctic ecosystem of Canada’s Hudson Bay, where polar bears prowl the barren Tundra waiting for seal hunting season to begin.